College to Congress (C2C) provides high-achieving, low-income students with the opportunity to intern on Capitol Hill - at no expense! Through C2C’s summer internship program, you can gain the necessary experience to kick-start your career in public service. Here are the top five reasons why YOU should apply to C2C today! #5 We cover ALL of the expenses! Unless you have connections on the Hill, congressional internships can be notoriously difficult to get. Even so, it’s the first stepping stone into a career as a public servant. Here at C2C, we help you prepare for and secure a spot interning on the Hill. We work closely with each of our students to develop and refine their resume, cover letter, and interviews skills. We partner with over 58 congressional offices who are committed to making congressional internships more inclusive (check out our growing list here)! Don’t see your hometown representative or senator? No worries! We also match students with congressional offices that share their views and passions. Don’t go at it alone; let us help you! We’re committed to helping our students grow personally and professionally. That’s why we kick-off the summer with a three-day boot camp. We make sure you have all the tools and skills you’ll need before even setting foot in your office! But the learning doesn’t stop there. We partner with top DC professionals to give you crash courses every week on subjects you won’t learn about in college - like networking, advocacy, personal budgeting, formal etiquette, financial literacy, and more! Hyper-partisanship hurts our democracy. But when Republicans and Democrats have genuine conversations with each other, they can gain a better understanding of the opposite party’s perspectives. That’s why we pair all of our interns with a Bipartisan Ally - a senior-level Hill staffer of the opposite party - to have constructive policy conversations and build connections across the aisle. These conversations also give you insight into what works and what doesn’t work with the opposite party. (Helpful for when you create bills in future!) With a better understanding of the other side, both parties can find ways to work together without forfeiting their beliefs. #1 Start your career on the Hill! C2C’s support doesn’t stop when the summer’s over! In order to truly make Congress more inclusive and effective, we connect our students with full-time congressional staff positions and continue to work with them throughout their careers. During the summer and beyond, we make sure they have everything they need to excel on Capitol Hill. After all, democracy is only effective when it truly represents the people that it serves. Make the most of your summer! 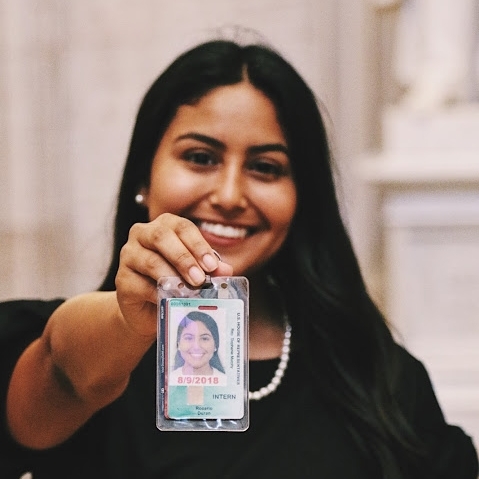 Apply for College to Congress’ Summer 2019 internship program and kickstart your career in Congress, all-expenses-paid! The final deadline to apply is November 30th!